Join our united front in supporting the Second Amendment, shooting sports and hunting heritage with an evening of food, firearms and fundraising at The NRA Foundation BBQ and Auction at Lucas Oil Stadium during the NRA Annual Meetings and Exhibits. A pre-event reception sponsored by SIG Sauer will take place at 4:00 pm, and the bbq & auction will commence at 5:00 pm. Help us Teach Freedom by bidding on custom firearms, unique merchandise and specialized hunts. All proceeds benefit The NRA Foundation and the future of the shooting sports. Connected by their commitment to freedom, women from all walks of life come together at the NRA Women’s Leadership Forum, Luncheon & Auction at the JW Marriott Indianapolis. The WLF Forum is a coalition of philanthropic women united with the mission of infusing new enthusiasm, new excitement, new leaders and new opportunities into the fight for Second Amendment freedoms. This year's featured speaker is Dean Cain. Our Luncheon & Auction features both a silent and live auction. 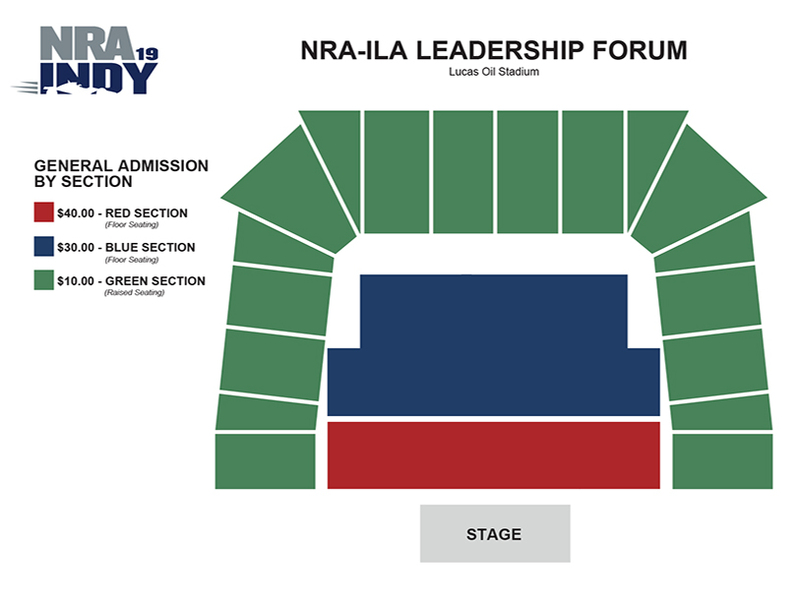 NRA-ILA's annual Leadership Forum is one of the most politically significant and popular events in the country, featuring our nation's top Second Amendment leaders in government, the media, and the entertainment industry. The Forum is also a must-stop for candidates seeking the highest levels of elected office – including Governor, Congressman, Senator, or President of the United States. 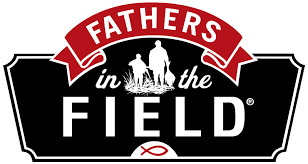 The event takes place on Friday, April 26th at 11:00 am (time is subject to change) in Lucas Oil Stadium. 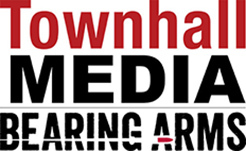 Stay tuned to the website for the list of speakers and special guests as they are announced! Due to the attendance of the President of the United States, the U.S. Secret Service will be responsible for event security at the NRA-ILA Leadership Forum. As a result, firearms and firearm accessories, knives or weapons of any kind, and other items, will be prohibited in the Forum prior to and during his attendance. CLICK HERE for additional information. This event is General Admission by section. 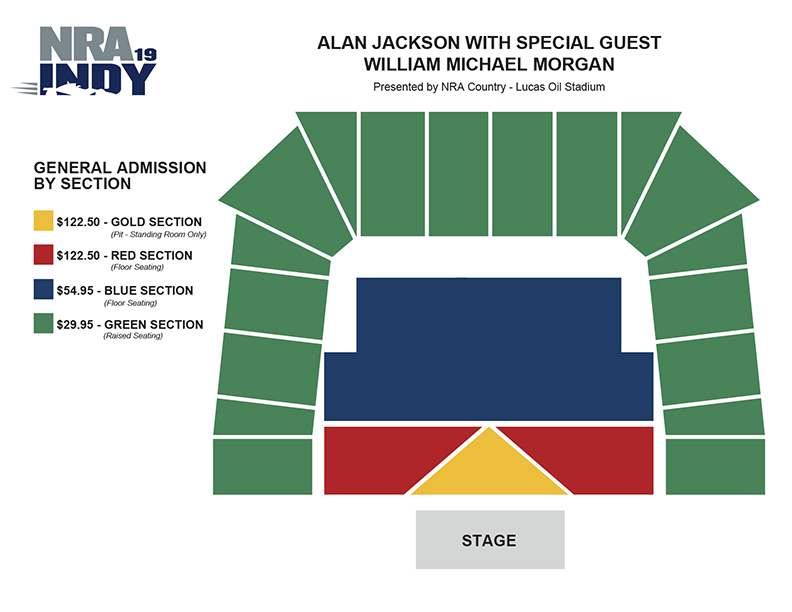 There are three sections, Red (Floor Seating), Blue (Floor Seating), Green (Stadium Seating).Your ticket will indicate what section you're in. You may sit in any of the seating areas located within your section. Tickets to the Forum typically sell out fast. Buy your tickets today! The NRA Country Jam is back and this year we’ve partnered with 8 Seconds Saloon, Indianapolis’ GO TO venue and bar for all of the latest country music stars. Known for bringing some of the best country talent to Indiana, 8 Seconds Saloon and NRA Country present rising country star Jacob Bryant, with Special Guest Payton Taylor, for a show that will not disappoint. Bryant, a Georgia native, performs with the vigor of a seasoned road dog and delivers a show that combines the storytelling of country music with the passion of rock. Bryant has built a solid fan base the hard way – winning over fans one at a time. That work ethic has resulted in fans viewing his videos on YouTube over 20 million times. Some have compared Bryant – and his shows – to what Brantley Gilbert was doing before achieving national recognition. Payton Taylor first caught people’s eye when she appeared on American Idol to accompany her younger sister on acoustic guitar. After hearing Payton’s rendition of “Angel from Montgomery,” the judges’ suspicions were confirmed and both sisters were offered their own Golden Ticket. Her performance was featured by Good Morning American, Billboard and Taste of Country. This year Payton returns to “Idol” as a Top 40 contender on the show. NOTE: 8 Seconds Saloon is a 21+ venue so patrons must show ID at the door. SOLD OUT! $10 Tables at the front SOLD OUT! Purchase your ticket now for the Annual Prayer Breakfast in Indianapolis! Join us on Sunday, April 28 at 7:00 am in the White River Ballroom at the JW Marriott. Experience fellowship with over 1,000 NRA Members for a time of inspirational encouragement. We'll have speakers who will challenge you with stirring words of freedom and faith, great music and food. This is one of the key events at the NRA Annual Meetings & Exhibits. Purchase a table for 10 at $550 and secure a spot with a great view up front! We look forward to seeing you there.